Many users are very excited about the prospect of updating to Windows 10. At the same time, many users do not want to take any part of the Windows 10 updates for their own reasons. 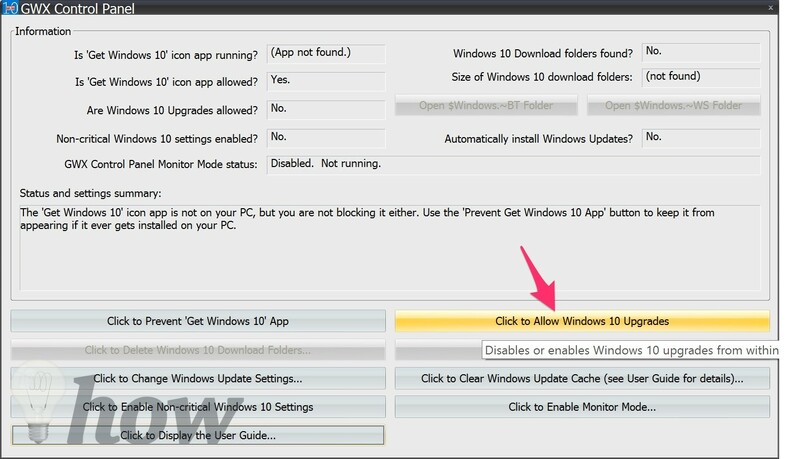 Windows 10 automatically downloads to your Windows 7 or Windows 8.1 whether you want it or not. Just to be clear, they are not installing Windows 10, but only downloading the whole installer which is around 3GB. That takes up a big drive space and wastes your network bandwidth. 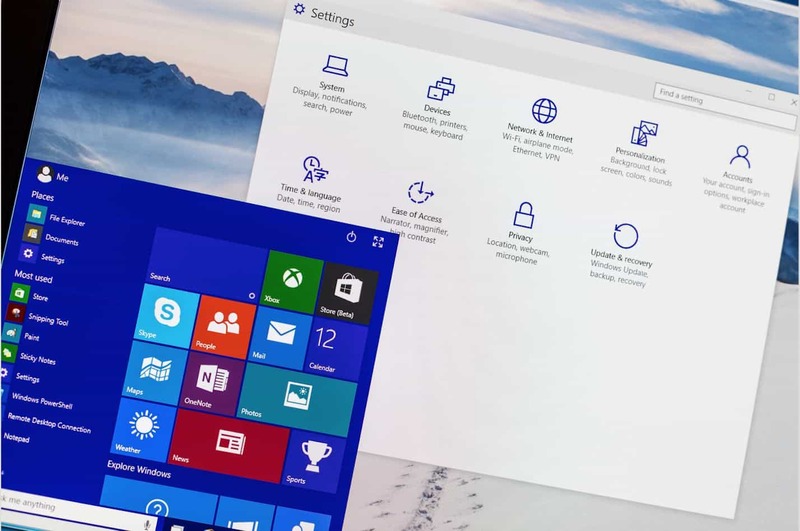 If you are getting a little sick of the endless icon appearing on your screen telling you to upgrade to the Windows 10 version, you are probably searching for an easy way to stop it. As a recommended and virtually mandatory, Microsoft will push out Windows 10. Some people also wanted to turn off windows update completely just to avoid getting the new operating system but do not do that. It will leave your computer vulnerable to any attack because you will no longer get the security patches. 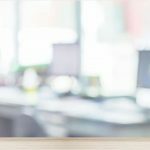 It is easy to turn off the Windows 10 upgrade function and you would not have to lose any important regular software updates. Microsoft also has an official document on how to do it. Make sure that you follow the instructions carefully. Open Registry Editor from Start Menu, search for Regedit then run it. 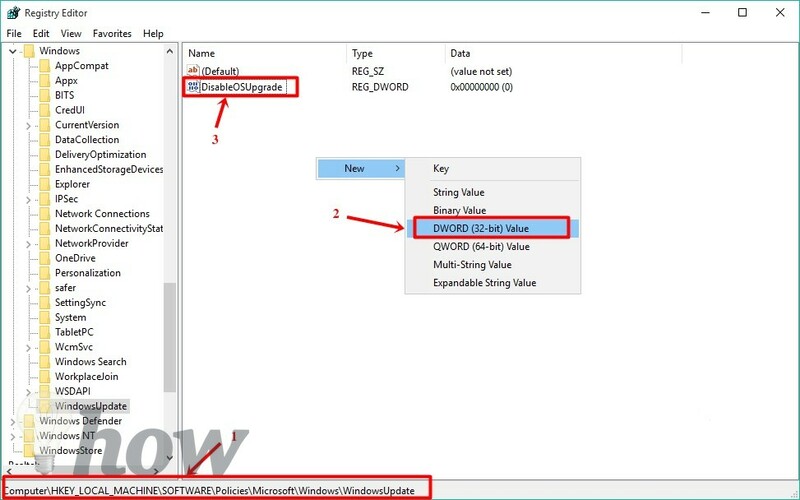 Note: If you don’t see the DisableOSUpgrade, just right-click on the space of WindowsUpdate window and select New >> Dword (32-bit) Value and set name it: DisableOSUpgrade. 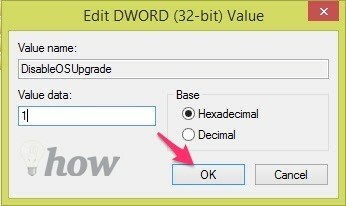 Note: If you don’t see the ReservationsAllowed, just right-click on the space of WindowsUpdate window and select New >> Dword (32-bit) Value and set name it: ReservationsAllowed. Corporate users have nothing to worry about since the Windows 10 upgrade is going to be blocked for Windows 7, 8, and 8.1 enterprise versions. 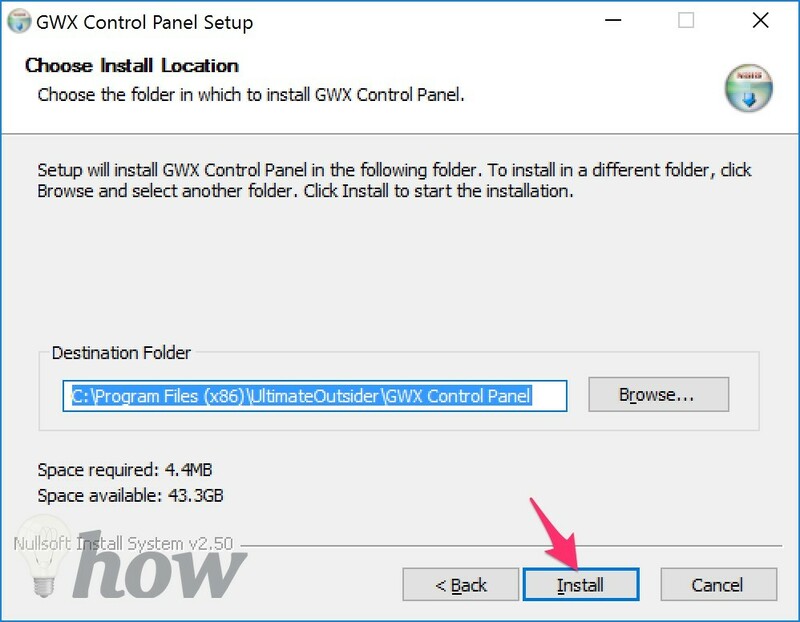 If you want another easy way to get rid of the “Get Windows 10” icon and prevent your PC from downloading Windows 10, simply download GWX Control Panel software from here. It is made by a developer that is also not happy about the automatic updates. 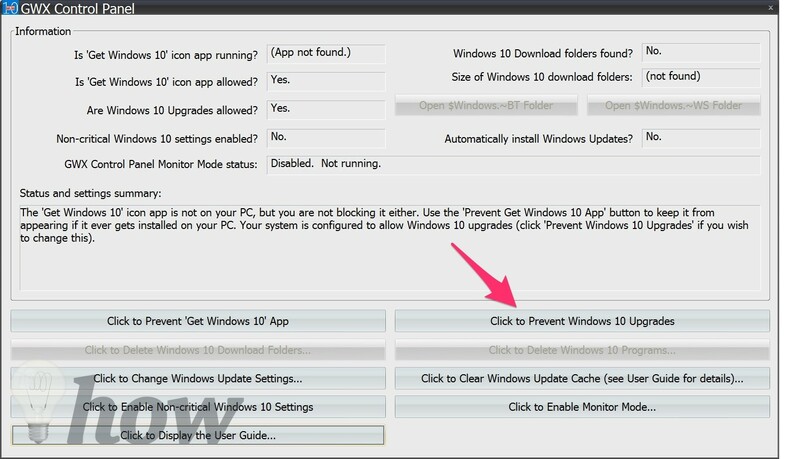 Simply download the software, run it, and then you will see “Click to Prevent Get Windows 10 App” button. Click on it and then select the “Disable Operating System Upgrades in Windows Update” button as well for another good measure. That’s an easy way of how to block the Windows 10 upgrade. The icon will surely disappear and your PC will not get the updates. If ever you want to enable the updates again, you can just unclick those buttons again. This is going to be a non-issue for few months. Microsoft is offering Windows 10 for the free upgrade until July and after that, people who want an upgrade needs to pay for that.